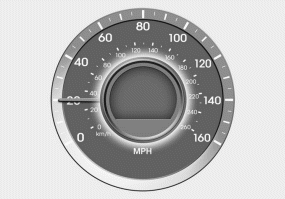 The speedometer indicates the speed of the vehicle and is calibrated in miles per hour (mph) and/or kilometers per hour (km/h). 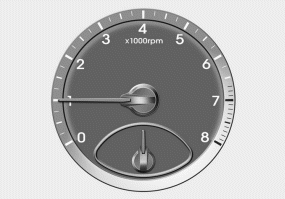 This gauge indicates the temperature of the engine coolant when the ignition switch or Engine Start/Stop button is ON. Never remove the radiator cap when the engine is hot. The engine coolant is under pressure and could severely burn. Wait until the engine is cool before adding coolant to the reservoir. 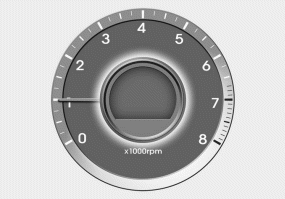 This gauge indicates the approximate amount of fuel remaining in the fuel tank. Running out of fuel can expose vehicle occupants to danger. You must stop and obtain additional fuel as soon as possible after the warning light comes on or when the gauge indicator comes close to the “E (Empty)” level. Avoid driving with a extremely low fuel level. Running out of fuel could cause the engine to misfire damaging the catalytic converter. 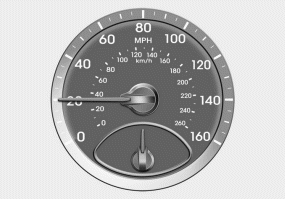 The odometer Indicates the total distance that the vehicle has been driven and should be used to determine when periodic maintenance should be performed. - Odometer range : 0 ~ 999999 miles or kilometers. 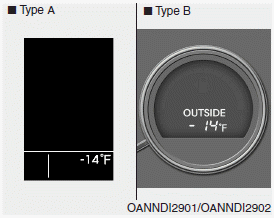 This gauge indicates the current outside air temperatures by 1°F (1°C). 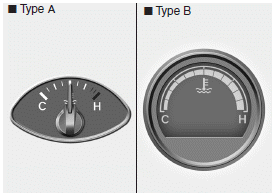 The temperature unit (from °F to °C or from °C to °F) can be changed by using the “User Settings” mode of the LCD display. 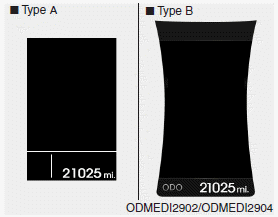 ❈ For more details, refer to “LCD Display” in this chapter.